Many criticized a pre-Marissa Mayer Yahoo for doing little to integrate acquisitions with its core services, even when they were popular services like Del.icio.us. We can't accuse the company of negligence today, as it just added simple Flickr photo sharing to Yahoo Mail. Those drafting messages just have to tap an arrow to attach files from their photo streams, and they can sign up for Flickr on the spot. 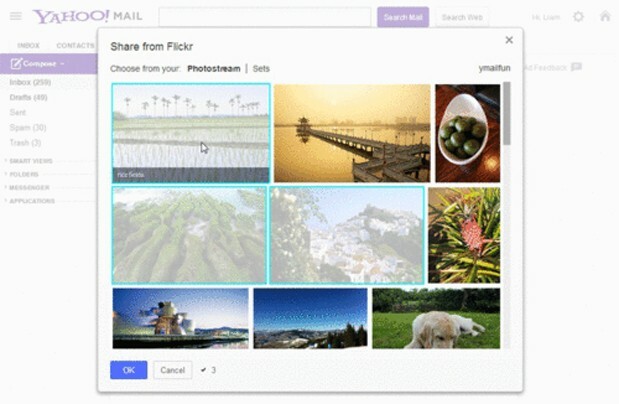 While there's only so many of us that could use Flickr sharing right now, Yahoo teases that there are more Mail upgrades in the pipeline -- it's not done fighting Gmail and Outlook just yet.